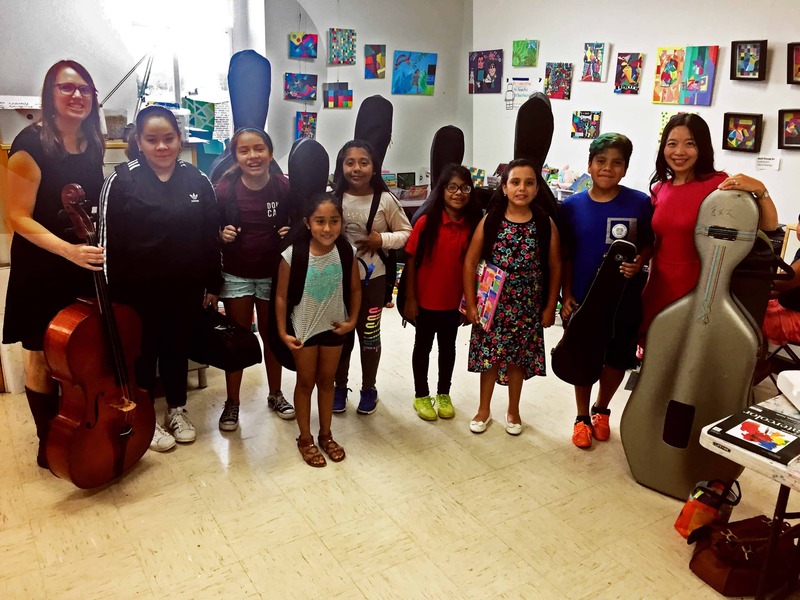 CCATE’s music programming offers students the opportunity to explore a range of musical instruments such as cello, guitar, and the recorder [flauta]. Dr. Ashley Chen Kim, from Rutgers University, teaches a weekly Group Strings Class for beginner cellists and violinists. Juan Carlos Orozco, Choir Director of Saint Patrick’s Church in Norristown, teaches a weekly guitar class at CCATE. Juan Carlos has been teaching the class for two years on Thursday afternoons. Sandra Irene Manrique teaches the recorder [flauta] workshop using Mexican musical style to teaches the basic elements of the instrument to elementary and middle school students.